Sony made the stakes in the 4K action camcorder niche higher when it announced the release of the FDR-X1000V. 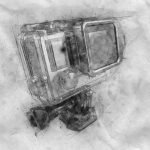 This niche, which used to be ruled by GoPro, has become crowded with a number of decent entries from manufacturers like SJCAM, Garmin, Yi, and Olfi. 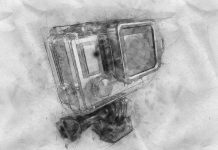 Manufacturers are tussling to make better cameras with improved resolutions, image stabilization, activity sensors, water-proof features, and auto-editing features. What is the Sony FDR-X1000V? Action cameras have historically been the reserve of swimmers, rock climbers, skiers, and adventurers. 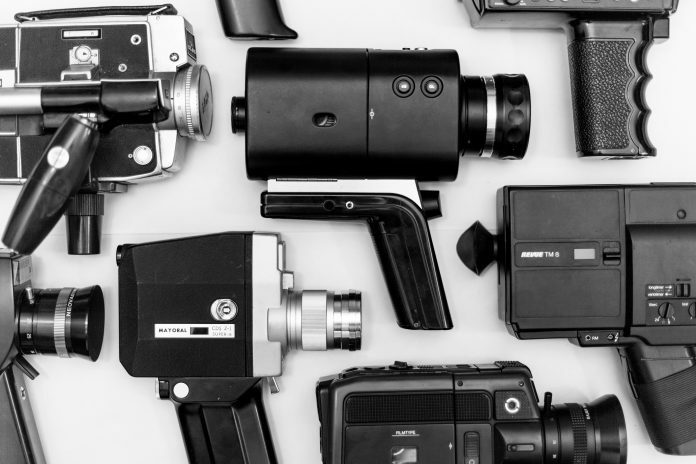 However, their detailed resolutions, powerful features, and affordable prices have made them favorites with professional and amateur movie makers, and even consumers. So how does the Sony FDR-X1000V compare with other camcorders? The Sony FDR-X1000V is a top-notch 4K action camera that records at speeds of up to 100Mbps. The camera is Sony's flagship 4K action camera that can record high-quality videos in 4K in addition to shooting stunning still photos. Perhaps the most outstanding feature of the FDR-X1000V is its 4K (30fps, 3,840 x 2,160) resolution. It is worth noting that for this camera to record in 4K, it uses the XAVC S codec, which requires the use of an expensive SDXC card (Micro SDHC won’t work). When recording in 1080p, it can record at 120p at a bit rate of 100 Mbps. The camera’s sensor is 1/2.3in CMOS. The camera comes with a micro HDMI slot and 3.55mm microphone input jack. The FDR-X1000V is a small camera, weighing just 114g, and its dimensions are 24.4mm x 51.7x88.9mm. In the box, you’ll find a waterproof case, Micro USB cable, battery, and other accessories. 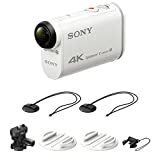 The Sony FDR-X1000V camera is equipped with the Bionz X processor, which enables it to do loop recording, live streaming, continuous still shooting, slow motion and Motion Shot LE. The FDR-X1000V can shot stills at 11.9 MP, but its 4K maxes out at 8.8 MP. This camera costs about $500 on Amazon. However, the GoPro HERO5 arguably has more features than the Sony FDR-X1000V but costs almost twice as much. The Sony FDR-X1000V costs about $400. This is higher than many consumer camcorders, but for an action camcorder with 4K resolutions, it is not too steep of a price. The FDR-X1000V is pretty easy to use. The camera has no dedicated power button but can be switched on by pressing any button. By pressing the red record button on top of the camera, you can start recording right out of the box. There are few other controls on this camera. Changing modes and settings is not as easy, though. You’ll need a number of pushes and scrolling through the menus. One thing that can make it easier to use is pairing it with a smartphone using the PlayMemories App. Its Highlight Movie Maker feature in the app can pick out great moments in the video and compile into shareable clips. 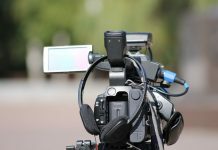 There is nothing you need to assemble to start using the camera unless you want to put it on a tripod, connect to the optional Live-View remote or pair with Wi-Fi. To connect the tripod, you’ll need to attach a standard tripod screw and connect. The Live-View remote is worn on the wrist and enables you to see what the camera sees just like when you connect to a smartphone. The Micro USB and HMDI ports are located at the back of the camera, and while you need to unlock the panel to access them, it is not usually hard. The Sony FDR-X1000V is a high-quality piece of equipment. The camera is rather bulky for an action camera, but it is well-built. One of the outstanding features of this Sony camera is the battery. You can get a number of days of on-and-off use with just one charge and about two hours of recording in the lowest quality with every non-essential feature turned off. Sony offers a one-year warranty for the FDR-X1000V. This warranty period is not impressive, but is in line with the warranties offered by Sony’s competitors in the action camera niche. At about $230, the GoPro HERO5 gives users real value for money. The camera can be bought for just half of the price of the Sony FDR-X1000V, yet the HERO5 is more portable and has a number of great features that the FDR-X1000V does not have. Modern GoPro action cameras are easy to use, and the HERO5 is no exception. Like with the Sony FDR-X1000V, pressing the recording button on the HERO5 will start recording right out of the box. The camera can be controlled by a water-proof shutter remote, which can be activated by voice. You can start recording with this camera without reading a manual. The camera, however, has a number of accessories that you may spend time getting used to. Its removable lens can be used with a number of filters to boost photo and video quality. The camera also has a USB-C microSD card reader and is compatible with Karma, a drone-filming kit that can fit in a backpack. This kit can also be used as a stabilization mechanism and can be bought separately. The GoPro camera will quickly catch your attention with its solid build and elegant matte finish. The GoPro HERO5 does not come with a case. This is because it does not need one, as the camera is waterproof up to 10m without a case! The camera has reinforced covers over its ports, which provides the added advantage of protecting them from wear and tear. Its one-year warranty is on par with that of the Sony FDR-X1000V and is standard for action cameras. For some time, GoPro has been the dominant manufacturer for action cameras, with its HERO5 camera being a prime example. The HERO5 can record video at resolutions of up to 4K at 30fps, and it can take still photos of up to 12 MP. This camera excels in terms of looks with a matte exterior and a width not much bigger than that of a matchbox. The HERO5 boasts a two-inch touchscreen LCD display and a big red recording button. This camera is waterproof without a case up to 10m, which is why GoPro did not give this camcorder a waterproof case. The HERO5 has voice controls and supports seven languages. The camera also has a voice control remote that makes operating it with the voice easier. Like the Sony FDR-X1000V, the HERO5 has a built-in GPS. However, its functionality is limited to geotagging photos and videos. The HERO5 has a 1220mAH battery that can record video for one hour and 56 minutes. The camera is compatible with the Karma drone, an aerial photography accessory kit that can be bought separately. The camera can get you access to GoPro Plus, a $5-per-month subscription cloud service that can help users publish their videos. Using this service, the camera can upload photos and videos seamlessly through Wi-Fi. You can see your media through the Quik app and GoPro website. The app also has auto-edit abilities and can automatically add appropriate audio tracks to videos and photos to make shareable content. At a price of about $400 on Amazon, the HC-V770 price is in line with the Sony FDR-1000V. 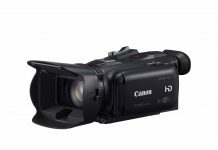 The HC-V770 has most of the standard features in modern camcorders. It has a standard record button and can start recording right away without any need for training. Setting functions like OIS and Exposure is not as straightforward, and you have to make a number of scrolls using its touchscreen interface. The camera is made from standard materials we have come to expect from Panasonic. It is small and can comfortably be used with one hand. The warranty is one to three years, depending on purchase price and store. The Panasonic HC-V770 is a mid-range consumer HD camera. Compared with other cameras in its class, this camera is impressive on all counts. It has a 1/2.3in CMOS and takes photos at 12.76 MP. The camera has a standard optical resolution of 20x, but this can be increased to 50x by its intelligent zoom feature. The HC-V770 is capable of recording at 50Mbps in MP4 mode and also has a full HD slow-motion option at 100fps. The camera has Wi-Fi capabilities that can enable you to operate it remotely. It t can be used as a baby monitor and surveillance camera. However, if you are interested in recording on 4K or if you regularly record in wet conditions, then the HC-V770 will not meet your needs. A new Canon VIXIA HF G40 camcorder costs about $1,500. It is almost double the price of the Sony FDR-X1000V and the Panasonic HC-V770. The presence of a number of buttons for zooming, exposure adjustment, and other functions makes this camera easier to set up than cheaper touchscreen cameras. 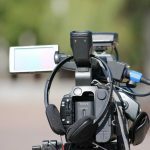 However, this camera has a number of professional-grade functions that make its menus more detailed and harder to scroll through than most camcorders. Unless the user needs to attach accessories, this camcorder can be used without reading a manual. The Canon VIXIA HF G40 is a big camcorder that has a number of buttons and dials. The camera is well designed and seems to be able to withstand years of constant use. The camera comes with a one-year warranty. The VIXIA HF G40 is a high-end full-HD prosumer camcorder that can cater to the needs of amateur filmmakers, wedding videographers and reporters. The camera has a 20x wide-angle lens and Digic DV 4 image processor. Unlike many mushrooming consumer camcorders that are replacing buttons with touchscreen functions, this camera has a number of buttons, making it very user-friendly. The camera can record at 60p in mp4 and AVCHD and has slow and fast-motion modes of up to X1,200. The camera has two SD card slots and Linear PCM recording. The Sony FDR-X1000V is a good 4K action camera alternative to the GoPro HERO5. Its solid build and good battery life make it a good camera for outdoor enthusiasts. However, the innovation of GoPro in this niche makes justifying buying the FDR-X1000V hard. Apart from the superior battery performance of the Sony FDR-X1000V and the pedigree of the Sony brand, you will be hard-pressed to find any specific areas in which the Sony FDR-X1000V outperforms the HERO5. GoPro's HERO5 is lighter, more user- friendly, more water-friendly, cheaper, and would definitely be a better purchase for most action camera users. Semi-professional users who do not mind recording in 1080p and are comfortable with the weight and the $900 price tag can invest in the Canon VIXIA HF G40. The Panasonic HC-V770 is a good option for users who do not need 4K recording abilities and want a high-quality camera for use on the go. The Sony FDR-X1000V has a high-quality 4K recording and impressive 100-Mbps bit rate, However it is expensive compared to similar cameras.